Team #25 I think it scored 35 if you count the main beam and the first point as the same thing on a spiker. You might want to waite and to see if you get a bigger Buck. 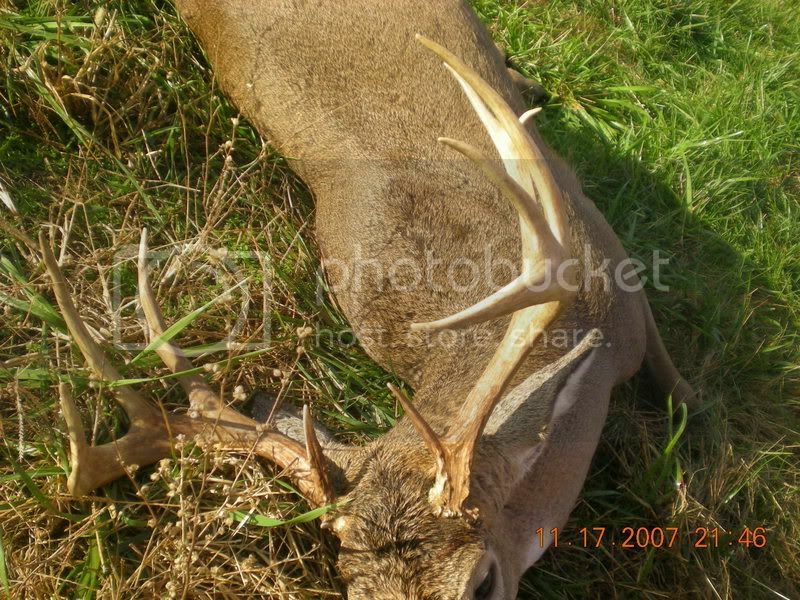 You can use the bigger of two Buck Scores for your team. Thats why I put in the rules that you can have two deer and use the bigger buck score. 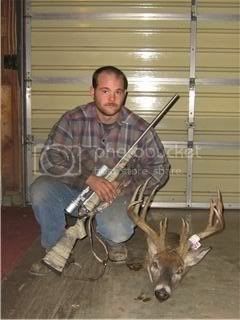 Here's the first for Team 20, taken on Nov 1, 2007 just outside of Alva, Oklahoma during Muzzleloader season. I was useing a T/C Omega Shot from 35 yards. G1 4 2/8" 4 3/8"
G3 9 7/8" 9 1/8"
G4 6 5/8" 6 5/8"
H1 5 1/8" 5 2/8"
H4 4 4/8" 4 4/8"
TOTAL GROSS SCORE. 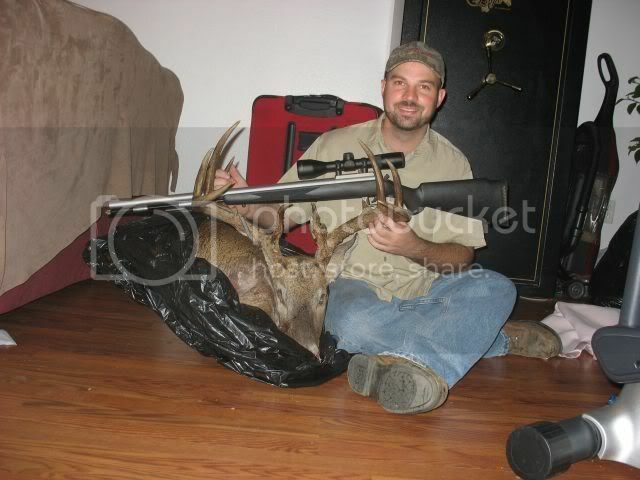 NON-Typical= 165 4/8" Typical = 156 2/8"
TOTAL NET SCORE. NON-Typical = 163 4/8"Typical = 145 "
I am not sure if you want to use the non-typical or the typical score so I left both. Sorry Guys I just saw that I needed a gun in the pic. The deer is already caped out so I hope this will do. Congratulations to the members that have scored on Bucks so far. This is my entry for Team #1. 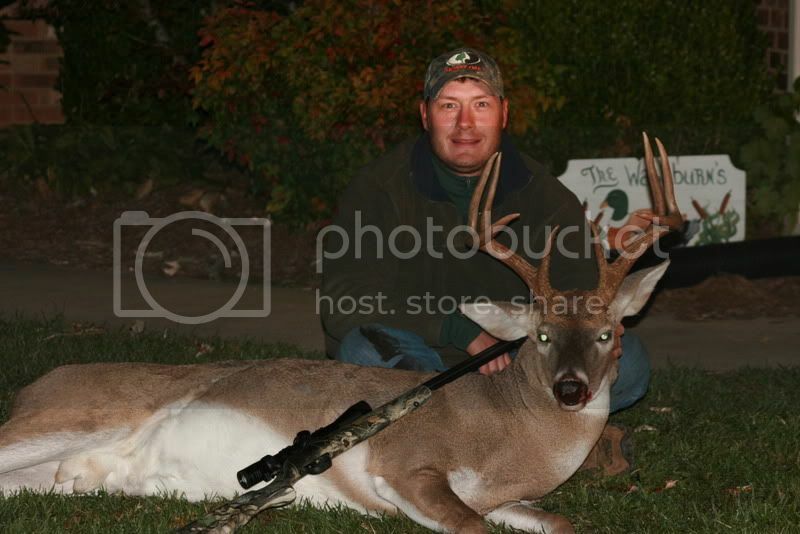 This buck was taken in central Montana using a .300 WSM (sorry it didn't show up in the pics). 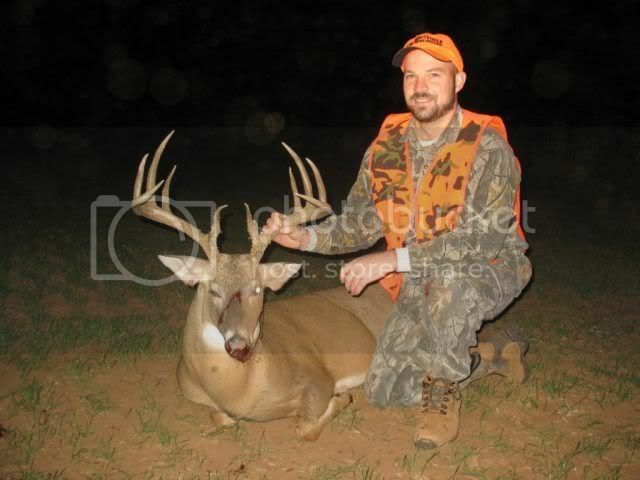 The buck's gross green score is 157 5/8".